Teachers can use the word list (boy/girl/man/woman) provided at the bottom of the page, to learn the different nouns for people. 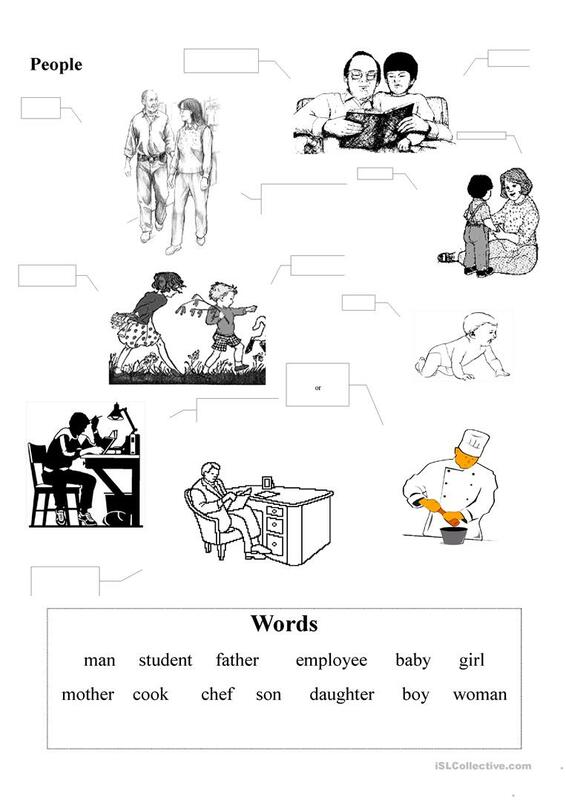 Another option is to use different vocabulary (such as adjectives) to fill in the boxes for each person on the page. The above downloadable worksheet is recommended for high school students, elementary school students and adults at Beginner (pre-A1), Elementary (A1), Pre-intermediate (A2), Intermediate (B1) and Upper-intermediate (B2) level. It is a useful material for practising Nouns in English, and is useful for improving your pupils' Spelling, Speaking and Writing skills. It centers around the theme of People.